We want to announce, that our industrial flash cards and discs partner, the Innodisk from Taiwan, introduced the new remote diagnostic platform for their products, called iCAP. The platform enables the online access to diagnostic data of discs, cards and memory chips installed in the systems connected to the platform. Data are accesible from cloud or local server level and they can be reviewed with any device connected to global network. 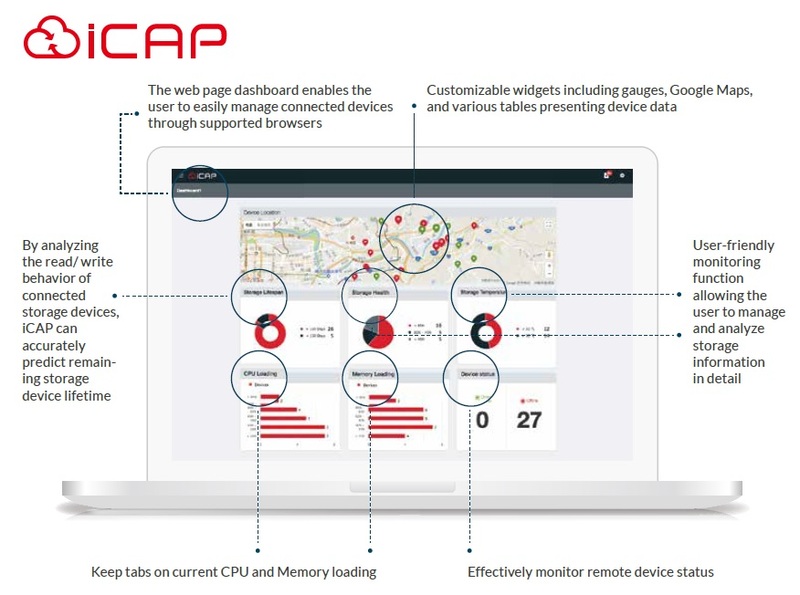 iCAP supports Linux and Windows applications. Additional iCover implementation allows the customer to initialize remotly system backup and recovery if necessary.